This blog series follows the national nursing organization members of the Nursing Collaborative on Climate Change and Health. The Nursing Collaborative, formed in partnership with the Alliance of Nurses for Healthy Environments and Climate for Health, is a combined effort among nursing organizations to build visible leadership on climate as a health priority. This nationwide network of organizations will be instrumental in moving the profession forward in addressing climate change, creating a climate literate nursing community, engaging all stakeholders in connecting climate and health, and building collective support and action for solutions. Learn more about the Nursing Collaborative here. August’s blog post features Anabell Castro Thompson, MSN, RN, ANP-C, FAAN, Immediate Past President of the National Association of Hispanic Nurses (NAHN), a founding member of the Nursing Collaborative on Climate Change and Health. NAHN is the nation’s leading professional society for Latino nurses and works to address the largest healthcare challenges facing Latinos. Climate change threatens life support systems and sustainability, such our ability to access clean air, water, food, and shelter. People or communities can have greater or lesser vulnerability to climate-related health risks depending on social and economic factors known as the social determinants of health. Groups with higher poverty rates such as Latinos, have less choices about occupation, location of residence (on a flood plain or in an area of poor air quality, for instance), and access to medical care. These and other social and economic factors place Latinos at greater risk for health problems related to the changing climate. These are considerations that nurses must be aware of in order to adequately care for affected populations and prevent harm. Nurses are also experts at advocating and educating. As the most trusted profession for 17 years in a row, we speak with credibility which makes us the perfect vehicle to advocate for solutions that address vulnerabilities to climate change. Furthermore, nursing as a profession supports the principle of holistic health, and policies that affect climate change and deepen disease burden are particularly important to the profession. The more nurses know about climate change and the related health impacts, the more we can educate patients, individuals, families, and communities to advocate and take action. Climate change disproportionately affects Latinos in this country. As the leading organization working to address the health challenges experienced by Latinos, NAHN is focused on raising awareness about environmental risks in Latino communities. Medical professionals everywhere are waking up to the effects of climate change and we are seeing the subject amplified in various medical forums. As an avenue to increase awareness on this topic, NAHN included content on the subject at our 2018 annual conference. The breakout session titled “Climate Change and Health Equity: Implications for Nursing” featured Cara Cook, MS, RN, AHN-BC as the speaker and is poised to raise awareness among NAHN members on climate-related health risks and communicate ways in which nurses can empower communities to advocate for policies that address climate change and promote healthy environments. Other key activities by NAHN include the promotion of climate literacy and health literacy among affected communities and decision makers and ongoing advocacy to ensure that policies, practices, and resources are properly deployed to address climate change and minimize the impact among underserved communities such as Latinos. Successfully reducing the impact of climate change among poor and vulnerable populations requires the involvement of many organizations acting in a coordinated fashion. One way for NAHN to elevate our efforts is through our participation with ANHE and the Nursing Collaborative on Climate Change and Health. As members of ANHE and the Collaborative, NAHN has been able to remain at the forefront of this important topic and to amplify our voice. Recently, I had the opportunity to present at the 2017 American Climate Leadership Summit in Washington, DC, an event bringing together leaders working on climate change across sectors. This participation allowed NAHN to raise awareness of the vulnerabilities we see within Latino communities resulting from climate change and to advocate for equitable climate solutions. The implications of climate change on health are increasingly more apparent. From hotter temperatures to more extreme weather events, climate change is a serious threat to the health of our patients and communities. Increasingly too, health care organizations and health care providers are on the front line in dealing with the health impacts of climate change. It is therefore essential that healthcare providers become familiar with the causes and effects of climate change. Efforts to decrease greenhouse emissions and to improve the readiness and resilience of underserved communities after severe weather events is a shared responsibility of communities, government, health care systems, public health agencies, advocacy organizations, and industry, among many other sectors. Nurses and nursing organizations may achieve greater impact on the subject through collective participation in ANHE. Anabell Castro Thompson is a Nurse Practitioner and Senior Vice President of Equity, Diversity and Inclusion at Equality Health. A Fellow of the American Academy of Nursing, Anabell’s leadership exemplifies sustained commitment towards improving healthcare to the Hispanic community. Her work features a practice focused on integrating concepts related to access to care and cultural competence into care delivery. Determined to bridge health care disparities, she is responsible for building and managing innovative programs and strategic initiatives which enhance access, engagement, delivery and utilizations, as well as guarantee equality in diagnostic and treatment options for all. Elected President of the National Association of Hispanic Nurses in 2016, Anabell is seasoned in governing, and has deep experience in influencing resource development and diversification of funding revenues, leading projects that reduce barriers in access to care for vulnerable populations and is passionate about principles of Equity, Diversity and Inclusion. 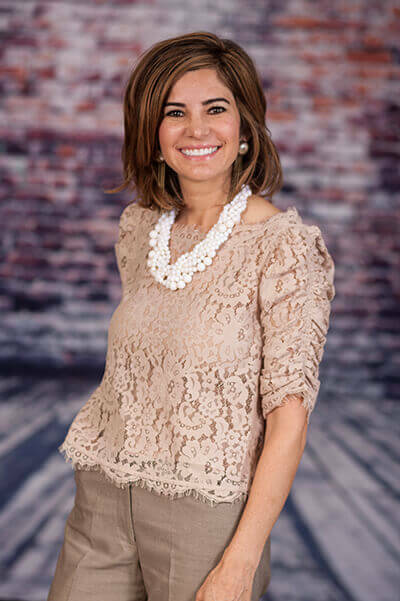 Anabell serves on multiple national and regional boards and is the recipient of numerous awards and honors, including being honored as a distinguished alumni by both her alma maters- The University of Arizona and Arizona State University.